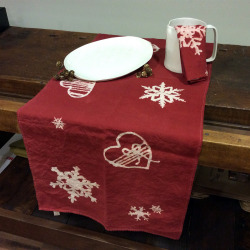 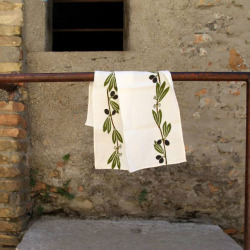 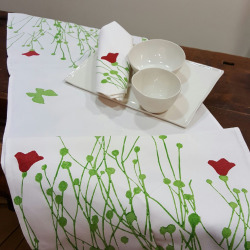 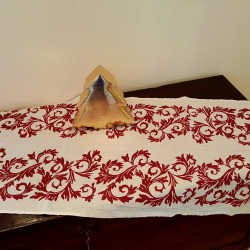 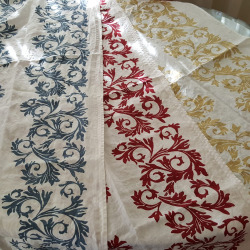 Beautiful table runner in natural linen with print of the Acanto collection, very soft and colorful. 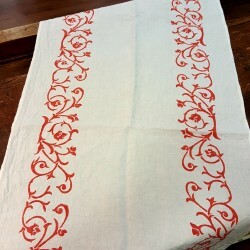 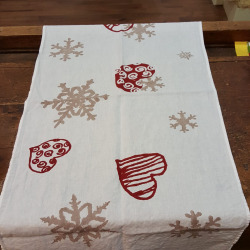 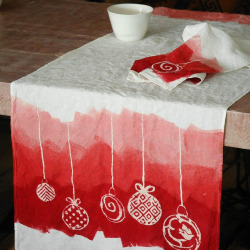 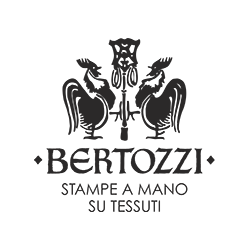 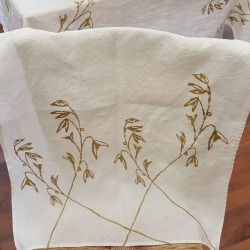 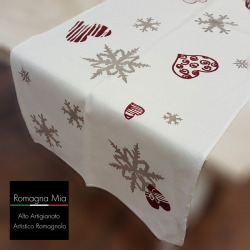 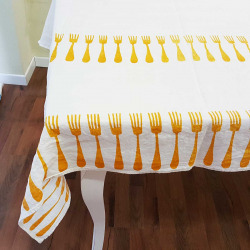 Hand-printed on precious natural linen fabric with ancient technique that allows the colors to be fixed in the fibers of the fabric. 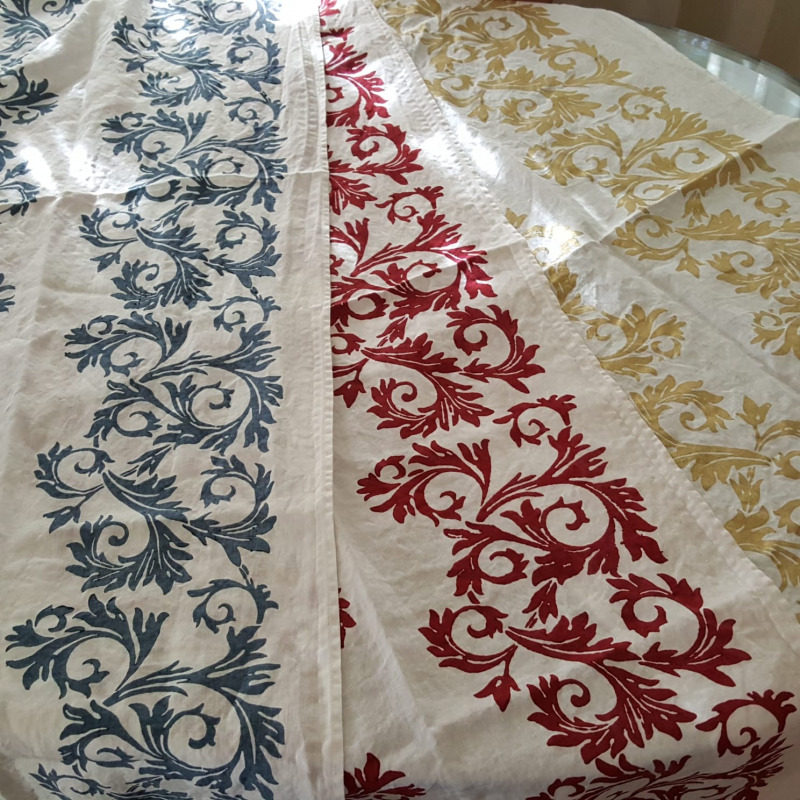 Measures 150x50 cm available in GOLD, BLUE, RED. 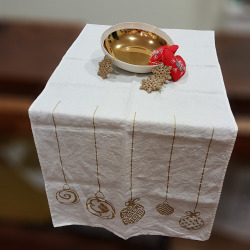 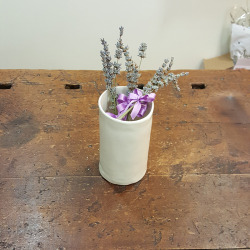 A wonderful and valuable gift idea for everyone.